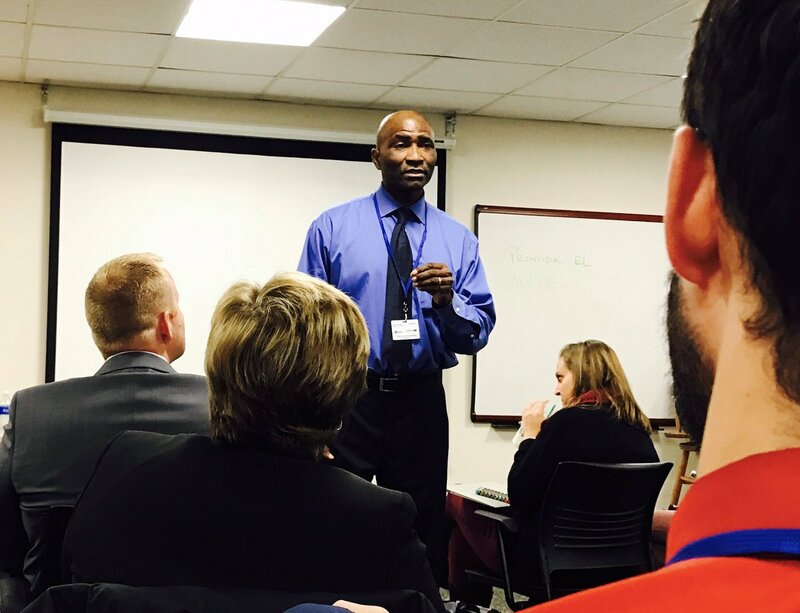 Last weekend, I presented at the #WGEDD conference in Kansas City. Getting the invite from Jimmy Casas and Jeff Zoul to share was a highlight. I knew I was going to have a great time connecting and sharing – two of my favorite things and this meet up did not disappoint. The best of formal and informal learning – The two days were full of scheduled sessions with powerful and influential sharers like Todd Whitaker, LaVonna Roth, Jimmy Casas and Jeff Zoul. No doubt, there was massive influential knowledge shared. But an integral part of this experience was the lunchtime conversations, the hallway talks and a morning of edcamp on the last day. These opportunities to build relationships are what makes building a PLN worthwhile. We are better at sharing when the circle is flattened and creating opportunities for these talks needs to happen. A great model for district level professional development – Hearing from so many local teams that travelled to be a part of this learning was inspiring! We grow better in teams! I was excited to hear about a team in West Virginia bringing in #WGEDD. Even though the district is hosting it, it will be open to any registrants. This is the kind of PD that grows educators at all levels. Presenting with my project partner, Joe Mazza, on #leadlearners! Joe and I have been working on our #leadlearner project for some time but we’ve never had the opportunity to share with a group. The feedback and contributions from our audience members was incredible and affirming! Presenting on Digital Tools – Its always a blast to share on what digital tools that are making an impact on my learning and leading but I wanted to do something different here. This day, I focused on tools and skills I have focused on since joining West Rowan Middle, a 1:1 school, coming from a Spring Lake Middle a 1:3 school. New focuses here include student and teacher organization, shifting from student engagement to student empowerment, and where our thinking and resources fall into the 4 C’s. First time meets and reconnecting with PLN! Great time in KC! Follow the #wgedd learning at the hashtag and make the conference when you can!